Anything you want it to be, but must depict at least one artichoke on the front. Quilts can be viewed both Saturday & Sunday in the Salinas Room at the south end of the Fairgrounds. Contestants must use “some” of the provided fabric and can add as much other fabric as you like as well as any embellishments. Each quilt must be 20” x 20”, have 3 layers and a 4″ sleeve. Quilts should be labeled on the back with your name, the quilts name, and “2019 Quilt Challenge”. Quilts must be received by May 24th at The Artichoke Festival Office, 11402 Merritt St., Castroville, CA 95012. 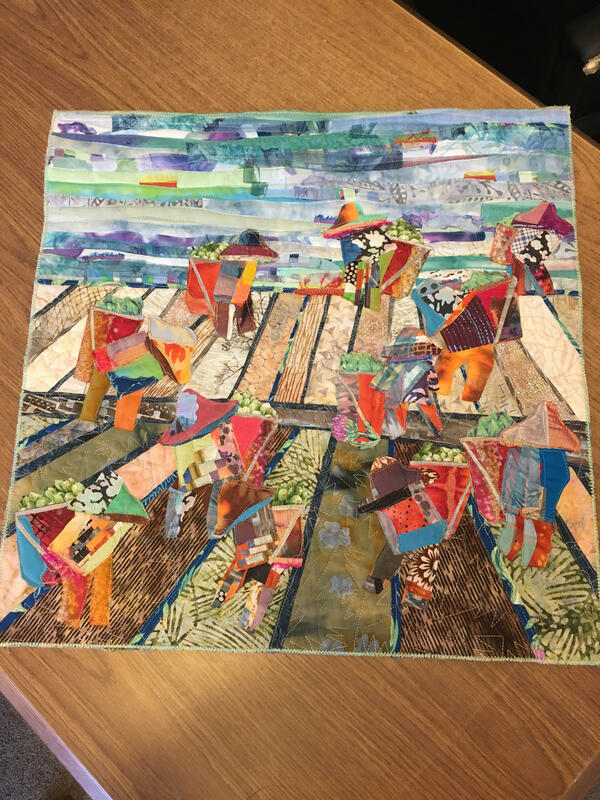 All quilts will be displayed at the Artichoke Festival, June 1 and 2 2019. 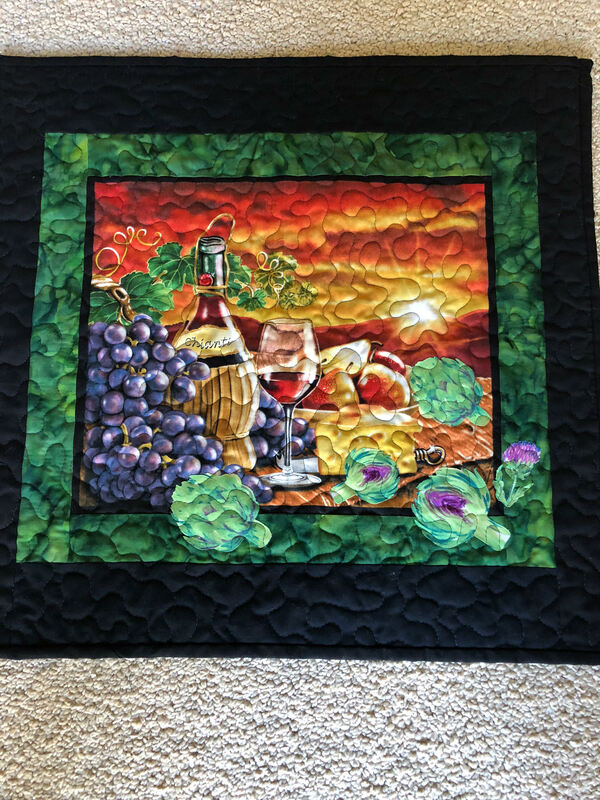 If interested in this contest mail $5.00 to Castroville Artichoke Food & Wine Festival Quilt Contest: 11402 Merritt Street, Castroville, CA 95012 and we will mail out the rules and fabric. 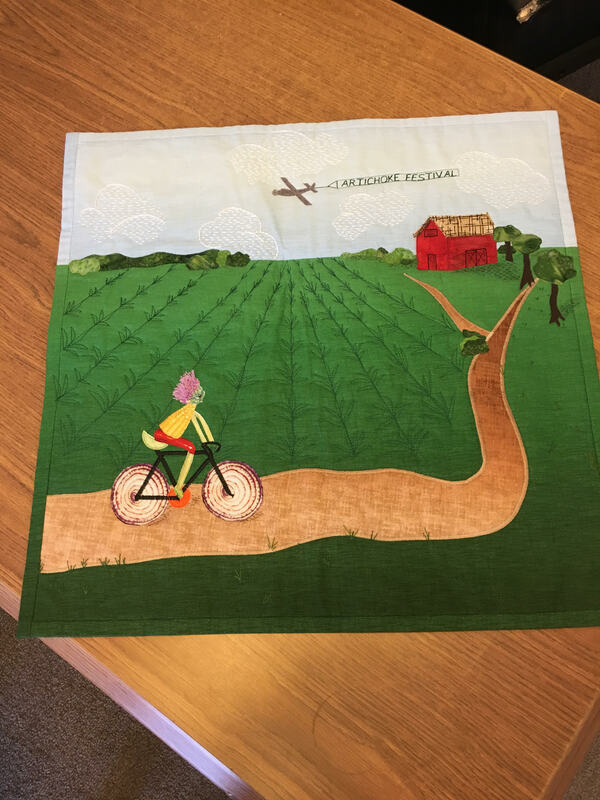 Congratulations to the 2018 quilt challenge winners!